NORTHS Rugby League forwards, Shane Bernardin and John Payne were suspended for six weeks and three weeks respectively by the Brisbane Rugby League judiciary following a torrid Woolies pre-season encounter in which emerging Valleys’ superstar, Wally Lewis had his jaw broken. 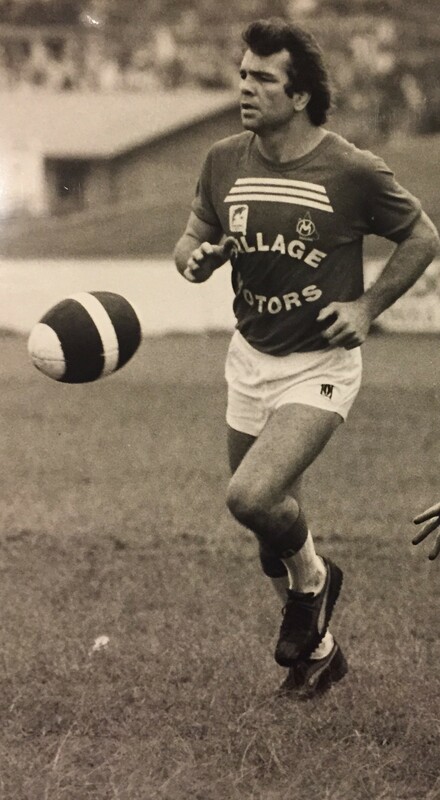 Bernardin was sent from the field in the Neumann Oval (now Allan Border Field) match, with referee, Harry Dearness charging the Brisbane representative with kicking an opponent on the ground after a scrum in the seventh minute broke into a brawl. A judiciary spokesman said the charge did not relate to Lewis’s broken jaw, with Lewis claiming in his biography, ‘King Wally’ he had been king hit by Norths’ Kiwi Test lock, Mark Graham. In the crowd were Lewis’s former schoolboy rugby union teammates, Mark Ella and Richard Leslie, who had interrupted a holiday at Tin Can Bay to watch Wally play. Veteran forward, Payne was cited by a steward, not the referee. Payne, who was pelted with beer cans from the ‘pig pen’, had flattened Valleys’ forward, Craig Brodie as both teams entered the dressing rooms at half time. Brodie, who had rocked Payne with a brutal, but legal, front-on tackle in the first half, also was cited for his role in the halftime fracas. The judiciary found Brodie had no case to answer. Norths’ lock, Nev Draper was carried from the field on a door – you read correctly – a door, after he was injured. Valleys obviously had run out of stretchers. Both sides were at a loss to explain the bitterness which erupted early, except to point to the oppressive late summer heat. Valleys won 21-11, with captain-coach, Ross Strudwick the engineer of most of the attack. Fullback, Alan Mills finished with two tries. Meanwhile, in Sydney, Parramatta’s gentleman centre, Mick Cronin was one of three players sent off in the NSWRL pre-season. Cronin and Queensland forward, Lew Platz were dismissed in the Eels 14-4 loss to Manly, while North Sydney lock, Keith Harris got his marching orders in the Bears 14-13 loss to Balmain. Harris is the father of prominent News Ltd journalist, Amy Harris. All three players were charged with high tackles.